Soft, chewy rolls are one of our favorite family snacks to enjoy. We love them piping hot out of the oven nearly any time of day. I made them for years, according to package directions, and they never got old. Then one day, I took them a step further: I stuffed the dough with some cheese and baked them until the cheese was warm and melted inside. The results were epic! I make these all the time now, and pair them with a yummy dipping sauce like Hidden Valley Ranch (my husband and I are impartial to Hidden Valley Sriracha Ranch because we love the pop of heat), or brush them with a glaze to give them their own unique twist. My kids adore the Italian style rolls since they like anything Italian. No matter how I make these stuffed cheese rolls, they barely ever make it the dinner table as little hands grab a few right out of the oven. 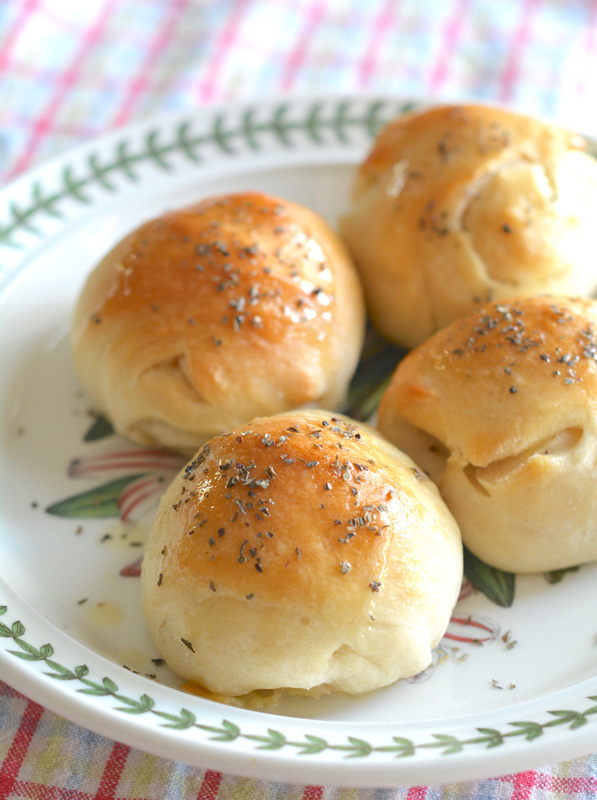 Here are my absolute favorite ways to make stuffed cheese rolls, perfect to accompany dinner, or even as a party appetizer with an unexpected cheesy surprise inside. Step 2: Cut the bread dough into 8 even-sized pieces. Make a pocket in each dough ball and tuck a cheese ball into the middle of each one. Pinch the roll shut completely and face seam side down on the baking sheet. Bake for 15 to 20 minutes, or until the rolls are completely cooked through and lightly browned on top. Step 3: While the rolls are cooling, melt the butter and brush the warm butter over the rolls. 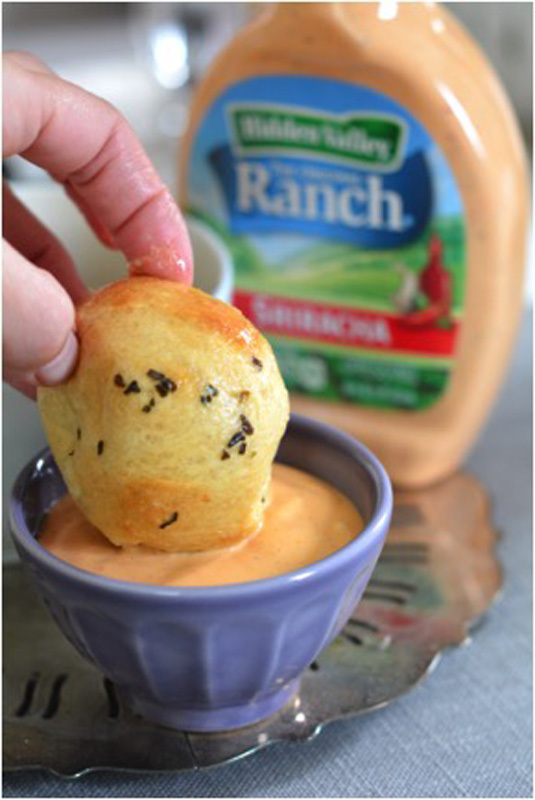 Step 4: Pour the dressing into a bowl, dip the rolls into it, and enjoy! Step 2: Cut the bread dough into 8 even-sized pieces. Make a pocket in each dough ball and tuck a cheese cube into the middle of each one. Pinch the roll shut completely and face seam side down on the baking sheet. Bake for 15 to 20 minutes, or until the rolls are completely cooked through and lightly browned on top. Step 3: While the rolls are cooling, melt the butter and brush the warm butter over the rolls. Then sprinkle them with the Italian seasoning. 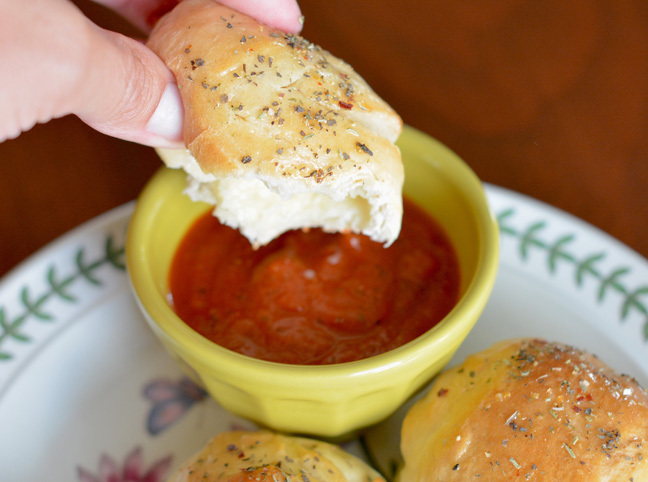 Step 4: Pour the marinara sauce into a bowl, dip the rolls into it, and enjoy! Step 3: While the rolls are baking, melt the butter and combine it in a bowl with the garlic, salt, and parsley. Step 4: Once the rolls have cooled enough to touch, roll them in the garlic butter. Set them on a cooling rack with a paper towel underneath to catch the drips. Let them cool for about 10 more minutes. Enjoy!